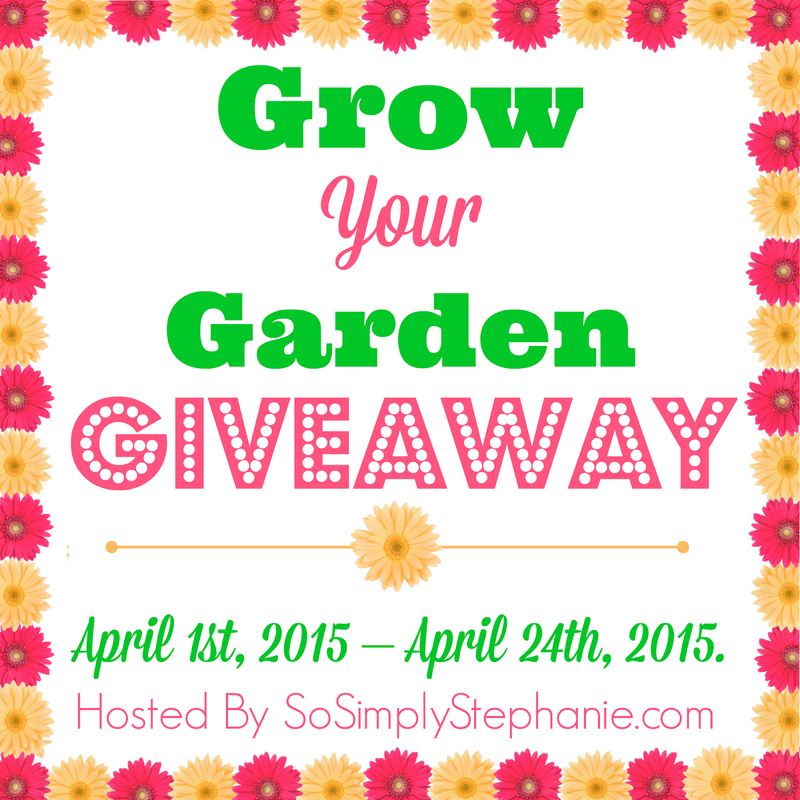 Spring is just around the corner and what better way to kick-off the growing season than with a mega garden giveaway! There will be multiple garden-related prizes for one lucky winner! We are currently still working with several sponsors to coordinate all the prizes but will have all the info soon including the amount of the gift cards! Currently accepting Sponsors, Co-Hosts and Bloggers with paid & free options to participate! Be featured on multiple blogs for the duration of this giveaway! 10 Co-Host spots will be available. Co-Host spots are $10 each and will help cover the costs associated with hosting this giveaway! Paid Bloggers spots are available for $3 each. Paid Bloggers Sign Up Here. Bloggers can also opt for the free option and receive a free social media link on the giveaway widget by sharing the Grow Your Garden Sign Up info (this same post) on their blogs. All Co-Hosts & Bloggers will receive an additional link for sharing the sign up info on their page as well. You do NOT have to be a Co-Host or paid Blogger to receive the free link option. Free Link Option ONLY Sign Up Here. You can find the Announcement Post HTML Here. If you have any questions or suggestions for this giveaway please contact Stephanie at sosimplystephanie@gmail.com.